The clock is ticking. Don't let the Grand Canyon State lose its autonomy. 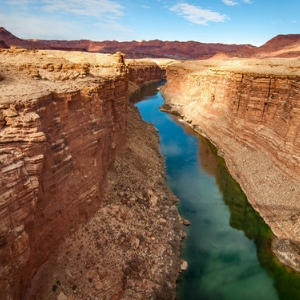 There are just days left for the Arizona legislature to make a crucial decision — and ensure the Grand Canyon State doesn’t lose its chance to weigh in on critical water decisions. The issue at hand is the Drought Contingency Plan — the result of a years-long collaboration between Arizona, California, and Nevada that ensures Lake Mead avoids catastrophic shortages. But if the legislature doesn’t approve the plan by January 31st, the Department of Interior’s Bureau of Reclamation will decide how much water each state gets — and Arizona will lose its voice. Don’t let that happen. Take action today, and tell your state legislators that it’s time to move this essential deal forward, before it’s too late. I'm writing today to ask you to authorize the State of Arizona to sign the Drought Contingency Plan, and pass a companion bill to implement the deal, as soon as possible. It's crucial that this legislation: * Includes additional water storage; * Funds additional conservation * And mitigates impacts on users that will need to change water sources. Overall, it is crucial that the plan move forward to leave more water in Lake Mead than we are taking out, or Arizona will face a water crisis in the very near future. The Drought Contingency Plan is the best option we have right now, and is a critical first step in avoiding catastrophe. Arizona is counting on your leadership.